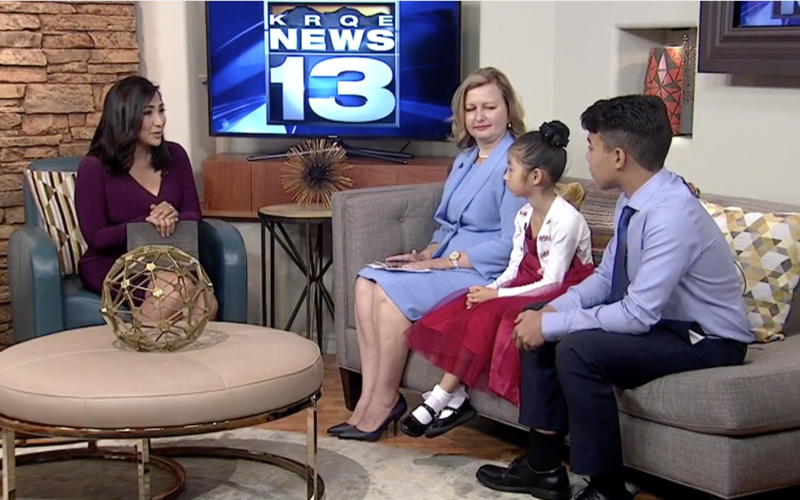 Students from the Albuquerque Institute of Music took their skills to the next level by appearing on the KRQE TV at Albuquerque, New Mexico on 10 August 2018. 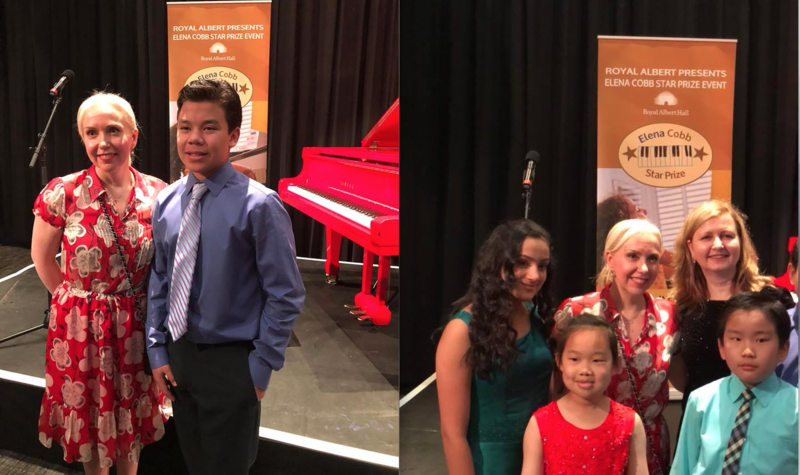 Ivan Belyaev (13yo), Emily Yang (8yo) and their piano pedagogue Tatyana Bayliyeva gave a TV interview to the news reporter where they shared their experience with the Elena Cobb Star Prize Event at the Royal Albert Hall in London. I was delighted to invite Ivan Belyaev to the concert at the Royal Albert Hall after he won the Gold Medal for the performance of Arabia Étude-Tableau by Elena Cobb at the Golden Keys Piano Competition in Vienna in 2017. Emily Yang will be joining other young pianists at RAH in London next year after winning the 1st prize at the Contemporary Composer Category at the Carmel Klavier International Piano Competition for Young Artists earlier this summer. Emily performed Hummingbird Étude-Tableau by Andrew Higgins and From the Frog’s Diary by Irina Nenartovich. Please read the event review by Andrew Eales from Pianodao.com here, and see the performance highlights and photos from the event here. I want to thank the team at the KRQE TV at Albuquerque for this fantastic highlight. Click here to watch the interview. Elena Cobb Star Prize Festival is organised by EVC Music in partnership with the British and International Federation of Festivals and ABRSM. And the second appearance on the KOB4 TV – please tap on the link to watch! 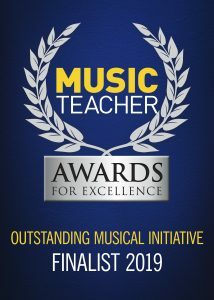 This entry was posted in News and tagged Albuquerque Institute of Music, Elena Cobb Star Prize, KOB4 TV, KRQE TV, Royal Albert Hall.